Ahem, sorry about that. There was a slight hitch with the publishing. If you have no idea what I'm talking about, that's good, these things are bad for my image. The next Librarymajig will of course be on the 8th of March. There may or may not be a computer related-thingumy there, so be sure to get in touch with an operator and stock up on red and blue pills. In another story, I recently discovered the deligtful new TV series Once Upon a Time, on TV2 every Thursday at 8:30 at night. I'ts a fantastic show, well I think it is at least, and I recommend you all see it. Furthermore, I am advocating a future librarymajig with a fairytale theme. Leave a comment letting me know what you think of the idea. And before you complain that they're sissy, don't be fooled by the Disney cartoons, these things are dark. 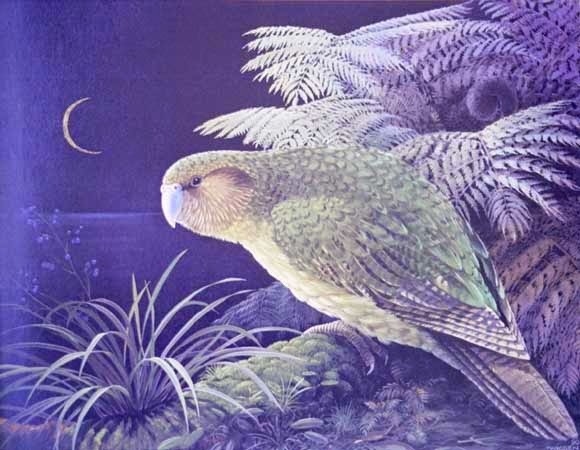 Once again we have a lone winner for the Kakapo challenge, one Emma. Congradulations! Unfortunately we have had some sligtht difficulties with your cookie, but you'll get it in the next blog. The new one is to tell me what your favourite fairy tale is. Leave a comment summarising it. Alas that must be all and I must be off.